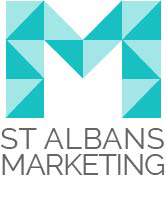 WHY CHOOSE ST ALBANS MARKETING FOR CONTENT WRITING? Do you want sparkling, engaging and consistent content across all your literature? Do you require a revamp of your website content? Want someone to take charge of your social media updates? Do you need help writing advertising copy, press releases, marketing material etc? In today’s world, with so many forms of media, it’s never been so important to engage effectively with your audience. Social media, website content, advertising/marketing material, press releases and blog writing – they all play a vital role is raising your profile in key areas. Not only must your words ‘sing’, the message must be consistent across all media. Thanks to our team of highly experienced and skilled writers, we can provide you with copy that really catches the eye and draws the customer in. Working with either existing material or generating fresh content from scratch, we can supply you with highly polished copy that will help portray your company as a ‘go to’ outfit. Today search engines are a key part of your company’s armoury. It is vital to write original content that will shift you to the top of search engines and differentiate your business from the rest. We will ensure that the text is tailored to your industry and being optimized. Search engine optimization was once just about a few key words randomly placed within the text. But today it is the quality of your content that counts – and that is why top quality content writers are so much in demand. Our team are award winners, many with Fleet Street or television experience. With the algorithm updates, Google has altered the working practices of SEO writers all over the world: this is good news for those companies at the cutting edge. Words repeated continuously within the text will not get as much recognition as those words which are varied but still keep to the key words for SEO purposes. Do not get caught out by the changing nature of search engines. Ensure that your content is leads the way in your industry: call St Albans Marketing today for content writing services.